March 17, 2015, New Delhi: The Department of Health & Family Welfare, under the leadership of Satyender Jain has established an online citizen community to create awareness about various aspects of Swine Flu, facilitate knowledge/experience exchange between citizens and together fight Swine Flu in Delhi. This unique initiative aims at enhancing the interaction between the citizens and communication from Department of Health. Using this online citizen community, Department of Health will update/alert citizens on the latest facts/information on swine flu, the precautions one should take against it. 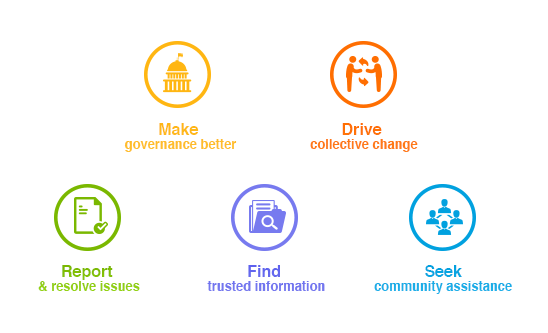 Citizens will also be able to share experiences, ask questions, find information from other fellow citizens. “Government-Citizen connect and public participation to improve healthcare in the state of Delhi is a welcome move and LocalCircles is happy to be an enabler for it”, said Sachin Taparia, Chairman and CEO of LocalCircles. “Community and Government are both enablers of accountability so I expect that this initiative will play a significant role in making the healthcare system of Delhi more transparent”, continued Taparia. Many leading Doctors of Delhi will also be invited to this community and citizens would be able to seek local provider references, expert advice and community opinion on various aspects of health. Citizens will also be able to rate Doctors, Hospitals and related services on the platform. All citizens of Delhi are requested to join this community by visiting https://m-www.localcircles.com/a/ and use INVITE code – HEALTHYDELHI.